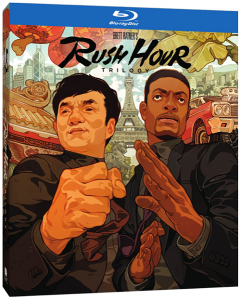 For the first time ever, three international blockbusters jam-packed with explosive action and nonstop hilarity are all-in-one in the RUSH HOUR TRILOGY – the ideal collection for any Rush Hour fan! Filled with tons of special features, including a featurette documentary, exclusive interviews and more. Now available on Blu-ray. Register below for your chance to win a free copy!